I was talking about the old picture Hebrew, the rock carving NA picture writings. 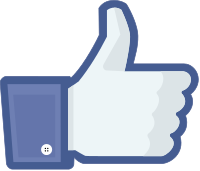 I can't tell you much about the Native American, you would have to search Internet using "Native American pictographs. Actually, as for a written language the Cherokee were probably first tribe. Utah has some sites with picture carvings, I've seen some photos posted by treasure hunters and somewhere find sketches on the Internet. I'll post this one NA pictograph chart I'd found, now don't have any info on how old they are, but some have a rainbow which is ancient. For over 2,000 tribes from everywhere in north American made a pilgrimage to what is now Hot Springs Arkansas. When the rainbow appeared, they were ready for their ceremonies to start. Then you have the rainbow warrior prophesies that originated. They had 7 sacred caves associated with the site, all Native Americans hoped to travel there at least once in their lifetime. As guess you could even say it was like the "Mecca" of NA culture. Here maybe it might be better to only post a couple at a time, comparing Hebrew/Phoenician with only the one NA chart pictures. Ignore the last 2 letters of M & fish for they are Greek/Roman. I decided to keep them separate, above Hebrew/Phoenician only. Compare above letter M with NA mountains and NA fish with above fish. You compare with above left to right-Kemetic 200 BC, Semetic 1500 B.C.E., Phoenician 1,000 B.C. Red dessert, where did you find 2,000 tribes travel to Hot Springs Arkansas? This type of culture goes against everything I have ever read about the Native Americans. I've read some about trade routes, but a Mecca Like pilgrimage, I've not seen anything. welcome, Saul! Best of luck what ever you decide to do. Doesn't mention 2000 tribes but this seems to be what Red Desert is talking about. Also this is getting way off topic, this is Saul's welcoming topic, so let's not keep straying off his getting welcomed to the forum. Welcome Saul to the forum. Adam, the dead horse beating comes first, then the ground breaking. Thank you, Fred. I'm getting this Missouri place ready to sell or rent, and then it's off to Arizona (again). Red-desert, similarities between pictorial images from around the globe prove nothing except that people's brains are programmed similarly. Humans have been wired this way for a long, long time. 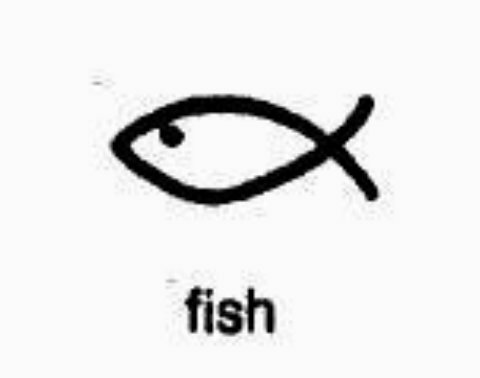 If I ask my five-year-old grandson to draw a fish, it will be almost indistinguishable from the early samech and your Native pictograph. 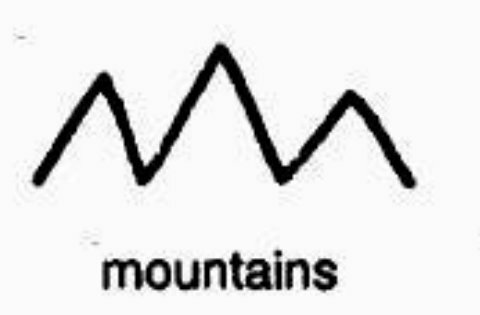 Same with mountains, very likely – after all, how many ways are there to draw a simple representation of mountains? Even the magnificent mountains painted by Sydney Laurence are essentially the same as the pictograph, just with a lot of added color and shading. All you're proving is that people's eyes and brains, over vast areas of the globe, and over many epochs of time, see the world similarly. Only hallucinogenic drugs or brain damage will cause the human mind to see a fish or mountain as something different from the norm. In any case, similarities in representations of simple concepts across the planet are not indicative of historical, cultural ties between Jews and Amerinds. 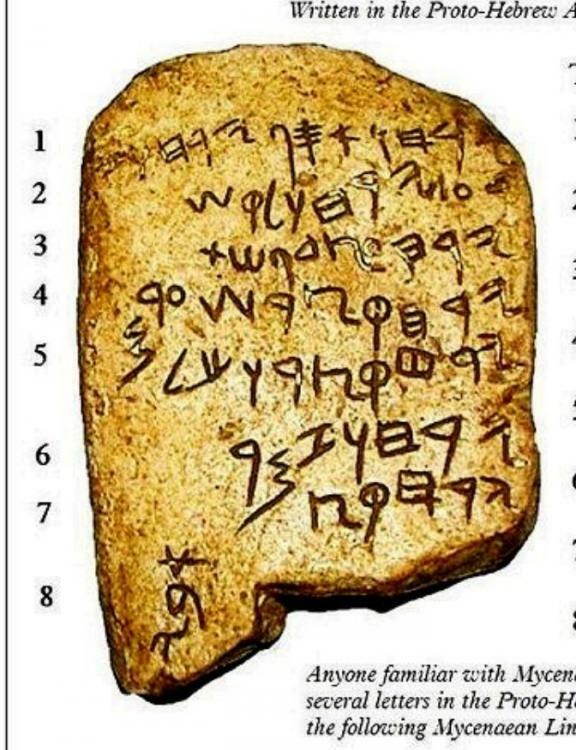 As I might have mentioned somewhere earlier in this thread, there is convincing (convincing for some researchers, at least) evidence of remnants of paleo-Hebrew in almost every spoken language on the planet, but that is a very different thing from what you're selling -- it's the difference between lightning and the lightning bug, to misquote Twain. It's probably about time to put this discussion to bed. I joined here to relearn things I've forgotten about gold, and to learn new things, and maybe make some prospecting contacts out in Arizona -- not to discuss Kwanzaa and similar fabrications. I feel suitably welcomed. Thanks. You guys are a friendly bunch. I forum shopped a bit before joining here, and chose this one as the least likely to cause gas. All is good.